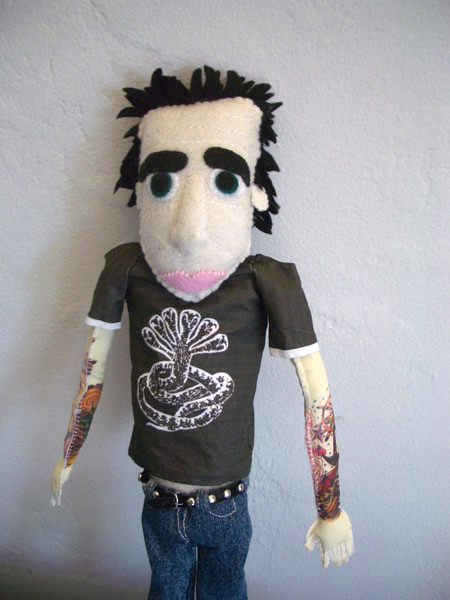 The Fred Doll is a doll that resembles my friend Fred. 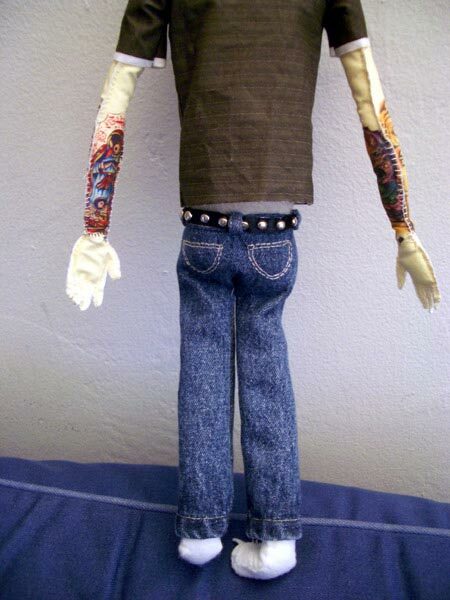 I took photos of his arm tattoos so that the arms of the doll would match perfectly. 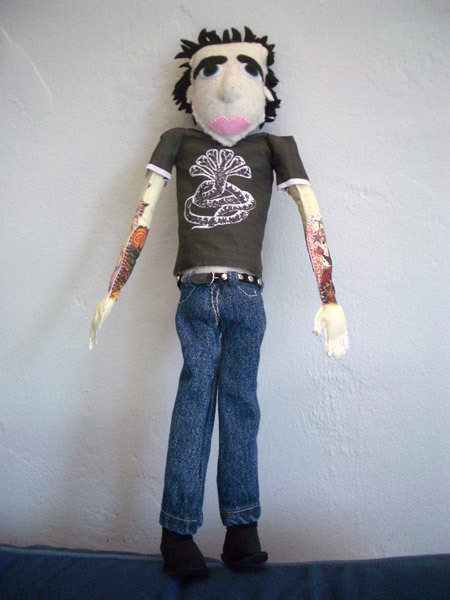 The Fred Doll sports a mini "Turbonegro" t-shirt (a Norwegian Punk Band that Fred loves) which I also handmade. The jeans were handsewn out of a scrap of demin. All the gold embroidery stitching mimics that of real jeans. The belt was made from a scrap of black vinyl and some small bedazzler studs. The photos at the top show Fred before his shoes were made. His eyes also went from blue to green, and I added some more hair. 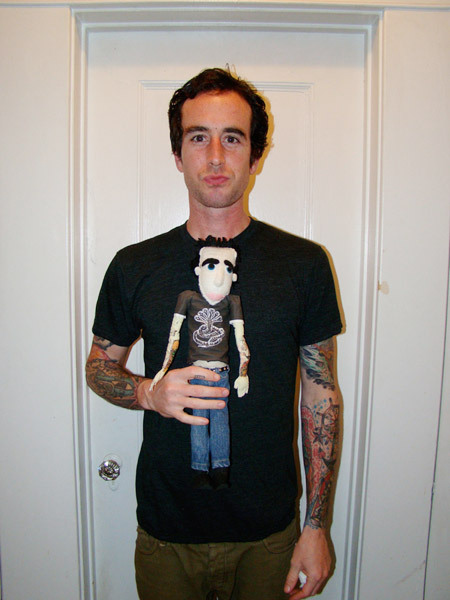 There is some catnip sewn inside the doll so that Fred's cat goes crazy when she sees it!